It’s been a little while since I received and installed the SCSIforSamplers SCSI Flash Card Reader for my Triton Classic 61 Keyboard and I wanted to write a review of my experience. At the time I purchased the drive, pictured in this post, I actually had a very bad experience with SCSIforSamplers. I felt it necessary to give it some time in order to digest everything and calm down so to speak..LOL. The product I purchased was the CF-CARD SCSI Flash Card Reader and installation kit for the Triton Classic 61 keyboard. The price is expensive many will think, but I feel if you use the keyboard you are installing the unit to, then it’s overall worth the money for sure. I use the Triton Classic quite a bit and the CF-Card reader has been a very nice and worthwhile addition. After ordering from SCSIforSamplers, I received very good communication with regards to delivery time, manual documents, plus a nice friendly thank you for my order. All was well. It took about a week to get the drive to Japan which I thought was pretty fast. The drive and installation kit was well packaged and documented. Now I have built several computers and have cracked open many different synthesizers and musical oriented gear in the past. So, coming off my successful Roland Juno 106 project, I felt pretty confident that with reading the instructions I should be able to install the CF-Card reader with few if any problems. However, it didn’t turn out that way. The major problem I had with the drive installation concerned the parts pertaining to the SCSI area in the back. The instructions were clear, but not clear enough considering the parts sent to me were slightly different. I felt it was like a puzzle where you had to figure out how to assemble several pieces so that they would all “mesh” nicely together. Instead, it was like a Rubix Cube with me trying different ways to get things to connect well. As I progressed it became increasingly obvious that the parts, instructions, and experiences by others were not all in sync. I also met a nice gentleman from the Korg Forums who had success installing a SCSIforSamplers CF-Card reader for his Triton and he kindly had photos posted on his gallery website. To my surprise, I noticed some small differences in the parts. Clearly, the instructions and the parts were in the ball park, but were not precisely the same. This explained why the SCSI section was not going together well. As a result I notified the SCSIforSamplers developer, who basically did two things that set me off. First, he told me there was nothing wrong or different about the parts. Second, he wanted me to ship everything back. That didn’t sit well with me. SCSIforSamplers could care less I thought and so I decided to continue trying to make it work on my own…somehow. So, I elected to try everything in the book and finally one evening found the “secret” way to get all the parts together. It was and still is an “extremely” tight fit and I’m not all that sure I’ll be able to squeeze the EXB-MOSS board in there should I ever elect to do so. Nonetheless, the parts were close as depicted in the instructions. I just didn’t feel I was sent the exact same parts as evident when comparing to the previous gentleman’s photos. In the case of my installation, these small differences in part dimensions created a problem for the installation. Overall, the SCSIforSamplers CF-Card reader works as advertised for the Korg Triton Classic. I would definitely recommend this drive to other Triton users and feel you will not be disappointed in the product. I also feel that in the beginning communication is top notch and packaging very well done. The only complaint I have is make sure things don’t go wrong. I am not confident that the developer of SCSIforSamplers understands that when changes are made to a product, however small, it can effect customers. Perhaps I am the only one who has ever experienced a problem with the installation. So do checkout SCSIforSamplers if you are in need of an upgrade to your floppy drive. The device works and you’ll have great fun with the addition to your synth or keyboard. Most likely you will also not have any installation issues as most people seem to have positive reviews about SCSIforSamplers. I think they all got the same parts….LOL. UPDATE: SCSIforSamplers has changed to SCSI Card Readers (SCSICardReaders) – http://www.scsicardreaders.com/. Roland W-30 Music Workstation Found! Yesterday I picked up a “mint” condition Roland W-30 Sampler Workstation from a used audio shop here in Nagano City, Japan. The W30 was in mint condition with all the manuals, system disks, and sounds disks. Not only that but the manuals and disks were practically not even used as they were in pristine condition…amazing! Also included was the KW30 SCSI kit manual and floppy disk. Inside the chip was indeed installed. A case was also included. The entire package I bought for $80 which I thought was a great deal considering the KW30 chip was installed with all accessories. The manuals were in Japanese of course, but I can read Japanese so no problem there. 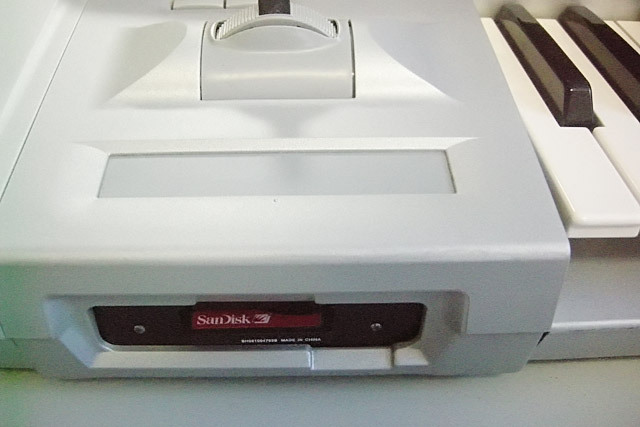 At home I was able to scrounge up an old 4.36GB SCSI hard disk which I was able to connect and sure enough, the Roland W-30 was able to communicate with the HD. I then was able to format the HD which took about 30 minutes and it indeed formatted to max capacity of 80MB. I then tested saving and loading various sounds and everything worked very well. I also tested an IOMEGA 250MB Zip drive with a 100MB zip disk and the Roland W-30 would not communicate with it at all. Some have had success with the Iomega Zip 250 drive, but from my experience it doesn’t work. I saw a Fujitsu 100MB SCSI Zip drive at the same used audio store for $5 bucks so I’ll probably pick that up for testing. I’ve heard that SCSI 100MB Zip drives will work fine. The Roland W-30 boots fine with the Floppy Drive, but since I had the Hard Disk working I thought I would try to boot from the HD. This did not work despite following all sorts of instructions and trying different methods. After research and testing, it appears I need to find a different HD that can boot the W-30. Although my HD works for saving and loading sounds, it does not work as a boot drive. I also was successfully able to tape the left hole of High Density Floppy Disks and format them as DD disks without any problems using Windows 7 Professional. I used the Sdiskw software to then load and create sound images from sources on the internet. I was able to establish a very simple workflow to transfer soundsets found on the internet to the Roland W-30 using the Sdiskw software. The only issue however is that I have yet to find a way to load and transfer WAV files. Most likely though I will simply sample directly using the inputs of the Roland W-30. The computer drives me crazy with regards to music and so far the Roland W-30 has been very simple to work with on it’s own. Why did I buy it? The price was a bargain for this popular 1989 Keyboard Workstation. The sound is really ( I mean really ) good with the right samples and their is some functionality you can’t get on some of the newer samplers to date. For my purposes, the Roland W-30 is a real gem. For example I found a great Hammond Sample today and it was a blast playing that on the Roland W-30. Yes, the memory is limited, but honestly if I want backtracks I just use my SP-606, Roland X Series, or Korg Triton to do that. 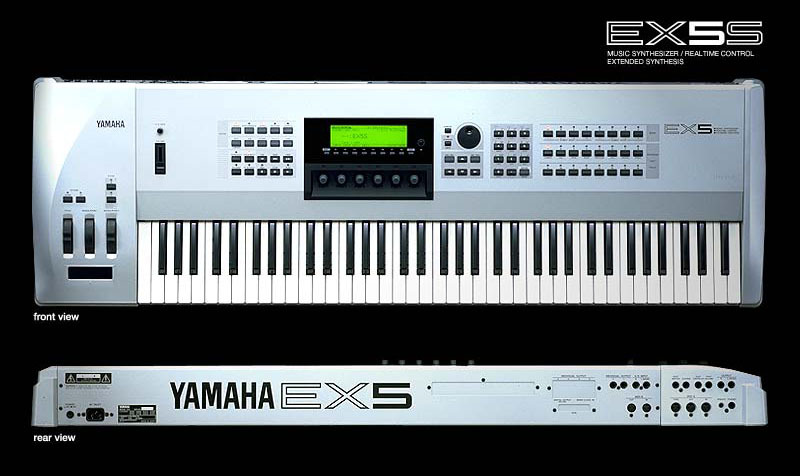 I basically wanted a keyboard that I could sample sound bites and then have fun editing and playing them expressively on the keys. There is so much you can do with the keyboard, sequencer, and editing functions. The Roland W-30 is such a joy to play. Everything on my W30 works flawlessly and the condition is mind boggling. Somebody must have just locked this up in their closet for the past 20 years. Japan is such a great place to find used vintage gear I must say. As I discover new uses and techniques for the Roland W-30, I’ll be sure to post comments to follow-up this article. 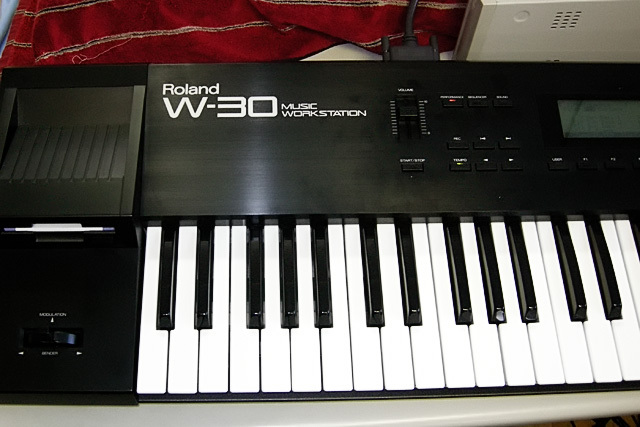 Right now I would like to find a Hard Disk to book the Roland W-30. I would also like to have a Zip drive that works as well. With that said though I do have an HD that is saving and loading sounds. Plus my Floppy drive works great with the possibility that I might pick up a backup drive from Route66. I also would like to find a work flow for loading my own wav files from the computer, but for now I’ll just record direct. That should suffice for now and it might even be the best and fastest way to do things. Stay tuned for more updates and feel free to comment or email if you have any specific questions about the Roland W-30 Music Sampler Workstation. I am so glad I bought it!